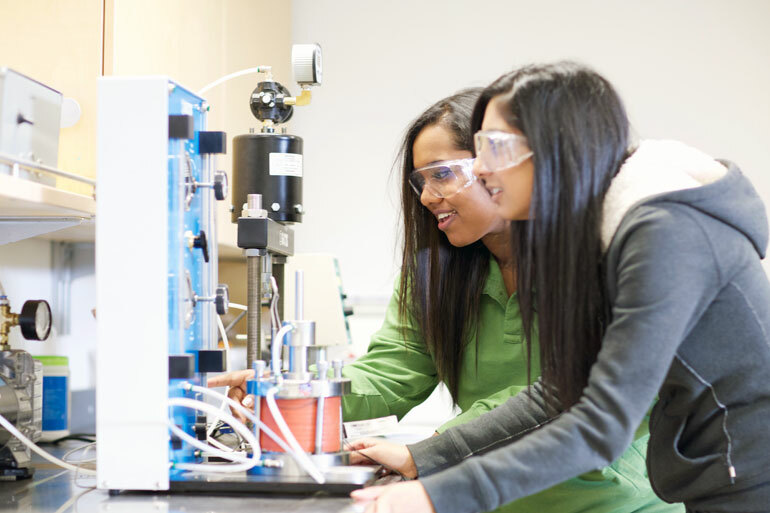 Engineering students Nuwanthi Thennakoonwela and Saveena Kahlon, right, conduct lab work at UBC’s Okanagan campus. The School of Engineering hosts its inaugural open house on November 19. When: Saturday, November 19, from 10 a.m. to 2 p.m.
Race cars, concrete toboggans, autonomous vehicles, lasers, mechatronics and sustainable infrastructure solutions. These are a few of the things you will learn about at UBC Okanagan’s campus Saturday. UBC Okanagan’s School of Engineering is hosting its very first open house, welcoming the public into its classrooms and labs to explore engineering educational opportunities at the university. The School of Engineering is home to many award-winning teachers and researchers and offers undergraduate programs in civil, electrical, and mechanical engineering along with graduate programs.